There are 2 sets of Task Cards. 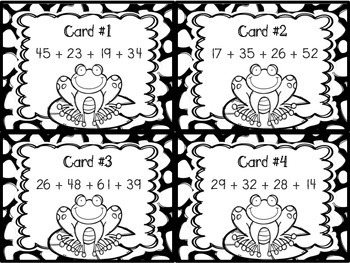 12 task cards to use as a center or a gallery walk. Print and laminate the cards. Place cards around the room and partner the students. They walk around solving the problems. Students can work alone or in partners to solve the problems. There is an answer board so students can self-check their work. These cards are also in black and white for easier printing. 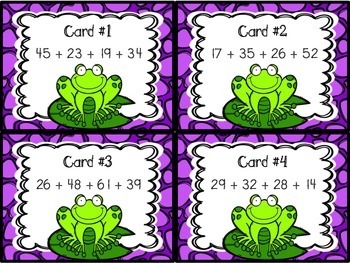 Use this set (12 task cards) as partner or group work. Cut them out and glue them to the top of construction paper. 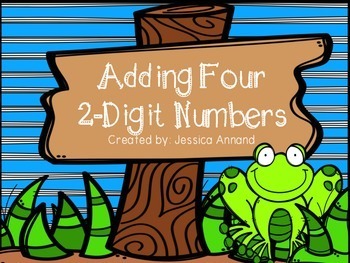 The students can work in partners or in small groups to solve the problem. Then they can share with the class. You can have them solve the problems in two different ways or just whatever way works the best for them. 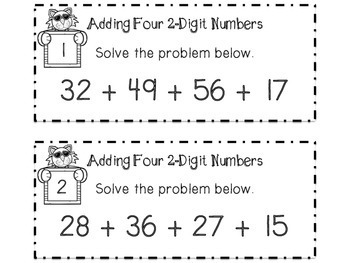 You could also give some groups the same problem and see if they solve it in different ways.